Marker art uses a childhood favorite art material but can be more creative and unique than you might think. Here are 12 fun and easy marker art activities to do with kids. We are big fans of markers in this house and always have been. 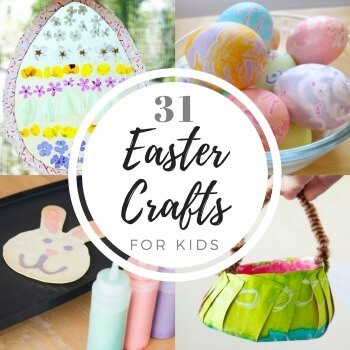 So today I thought I’d put together a list of easy and creative marker art ideas and activities for kids using this great drawing tool. A big thanks to Magic Stix for sponsoring this post! As always, all opinions expressed are my own. Some people say crayons are the gold standard when it comes to children’s art materials, but I have always said markers are better in many ways. Markers are vibrant, colorful, and easy to use for all ages, toddlers on up. Crayons are fine, and perhaps better in some situations, but you usually have to press hard to get quality color coverage or vibrancy. Plus they are prone to breaking. And you have to continually peel away the paper. Not that we haven’t used crayons over the years but my kids have used and preferred markers way more. And not just my kids, but also those who have come through my house for art groups and classes, playdates, and parties. And you may have noticed recently that we have a new favorite marker in the house for kids’ art! Magic Stix are revolutionary new kids’ markers that don’t dry out even if the caps are left off for over a week! Plus, the color is great, they are washable and nontoxic, and they come in a great plastic case for carrying, storage, or travel. So, now for our list of easy, fun, and creative ways to use markers like these! I have 6 fun marker art activities for you from The Artful Parent and another 6 from other websites. Zentangle-style drawing and doodling is an easy and calming no-pressure drawing style for kids and adults. The link above is for a tangle star printable activity, but you can use the same technique to do any kind of tangle drawing. Double doodle art is both engaging and relaxing as you draw with both hands simultaneously. Plus it’s a great brain exercise! You can see a video of this drawing activity in action here. Spin drawing is such a fun and mesmerizing action art activity for kids and adults alike. Here are two spin drawing techniques to try, both easy, and both with videos showing the marker art ideas in action. With one, you create your own spinning doodle tops; with the other, you use a spin art machine or lazy susan. Magazine pictures can make great drawing prompts for kids, giving them an interesting starting point for art. Complete the picture or change it with marker drawings. Doodle cubes allow kids to see how their 2D designs can translate into 3D designs. Great for spatial awareness! 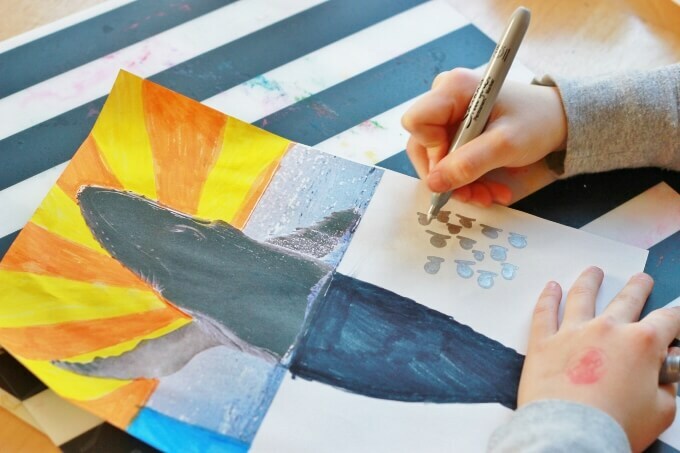 Kids art games are fun, encourage creativity, and are easy to fit in whenever and wherever. Most of these drawing games work especially well with markers. Create all kinds of crazy creations with this simple collage activity over on Picklebums. Use your own photos, print some from the internet, or try the free printables she has to get you started! Try this science + art experiment from Babble Dabble Do. Make “bleeding” paper blossoms with washable markers and see what happens when you leave the flowers in cups of water over time. Use washable markers and spray bottle of water to create a fun tie dye effect on coffee filters (on Busy Kids, Happy Mom). Plus uou can use the tie dyed coffee filters to make snowflakes, butterflies, buntings, or suncatchers. Explore chromatography using coffee filters and markers (on Buggy and Buddy)! This is a fun STEAM art + science activity for children and you can turn the results into a butterfly craft with pipe cleaners! This rainy day process art activity on Pink Stripey Socks starts with a washable marker drawing that you then hold out under the rain to let the water blur the marker lines. You can also try this with snow or with a spray bottle of water. Add markers to hot wheels or other toy cars to make your own action art that merges art and play (on Housing a Forest). Even More Marker Art Activities for Kids! How about you? Which marker art idea would you like to try with your kids? And if you have any favorites not listed here, please add them in the comments below! Again thank you to Magic Stix for sponsoring this post. All opinions expressed are my own. Yay! Glad you like the ideas, Michele!